This is the page where the customers (the visitors of your website) will have the possibility to log in to their account or register in order to get access to your courses. When you find the respective page, in the drop down that appears with the results of your search, click on it and in a few second the page will be added and set up as your checkout page. The new page will be created and also added as your checkout page in the first box (previously search box) of this section. The next step is to edit the page that you have just added. When you click on this button, you will be redirected to editing the page with Thrive Architect. If you have already purchased and used the Thrive Architect plugin, then, the only difference between editing this page and any other page is the new “Checkout” element. This element has been added especially for this type of page, thus, it is only available in this case. However, using it is just as simple as using the other Thrive Architect elements. Besides this, you can edit the page and add elements exactly the same way as you usually do when using Thrive Architect. Although, you have not purchased or used Thrive Architect before, you will see how easy it is to use this plugin, since it has a drag & drop interface. First of all, you can see that a “Checkout” element has been placed on the page. You can edit this by using the left sidebar options that appear after you click on the “Checkout” element. Furthermore, you can edit the page, add more elements and customize them. In order to do this, first, click on the plus sign from the right sidebar and then, drag & drop the elements to your page. If you want to find out how various elements in Thrive Architect work, please check out the tutorials from here. If you want an even quicker way of having a nice-looking Checkout page, then you can use one of the Checkout Landing Page Templates that are available in Thrive Architect. Using such a template will save you time, because you will not have to edit the page from scratch. All you need to do is customize the template according to your preferences. After you have chosen the template you want, simply click on the "Choose Template" button and you will see that it will be applied to your page. Note: Please keep in mind that when you apply a template to your checkout page, the changes that you have made on the page thus far will be replaced by the new template. Then, you can customize the checkout landing page template to your liking and when you are done, save the page. The second part of the “Checkout Settings” is adding a Thank You page. The Thank You page is the page where your customers will be redirected, after they go through the payment process that you have set up for your SendOwl products. The Thank You page you set up here should also be a general one, just like the Checkout Page, because it will be used for all your SendOwl products. Note: The setting of the Thank You page can be overridden anytime on product level. In case you want to find out more about this, check out this article. When the page that you are looking for appears, in the drop-down with the results, just click on it and it will be added as your Thank You page. In a matter of seconds, the new page will be created and added as your Thank You page in the first box (previously search box) of this section as well. This option will allow you to edit the page that you have set up as your Thank You page with the WordPress editor or Thrive Architect if you have it installed. If you do have Thrive Architect, then, you will also have the possibility to add Thank You Page Templates to your page. The process of adding these to your page is the same as the one described for the Checkout Landing Page Templates. Once you selected the template click on the "Choose Template" button, customize the template that was just added to your page and then save the Thank You page that you have just created. Note: As mentioned above, if you do not have the Thrive Architect editor, then the Thank You page will be opened in the WordPress editor, when you use the “Edit Page” option. Please bare in mind, that this means the Thank You Landing Page Templates will not be available either. 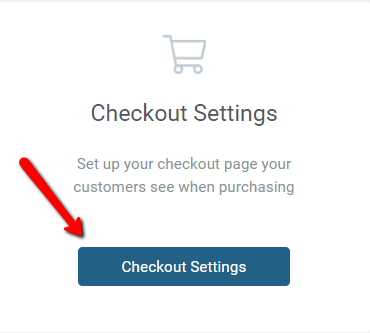 There is an additional option that you can use in the “Checkout Settings”. Under the Thank You page section, you can see the “Allow users to log into an existing account” option. In order to use this option you just have to leave the checkbox in front of it checked (it is checked by default). This will display the login form at the module or lesson level. 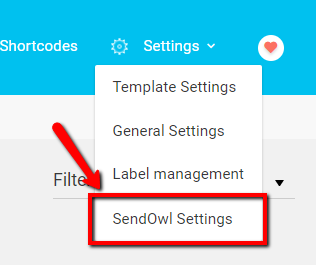 Thus, with the help of this option you can choose to display a login form when one of your website’s visitors is not logged-in and tries to access a course that is protected with SendOwl. Note: This option overrides the “Show the Login Form for not logged in users?” option from the "General Settings".